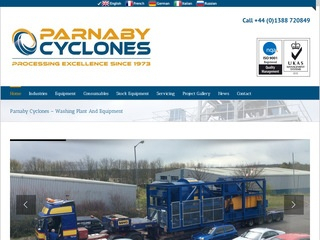 Extensive website redevelopment in 2015 for this locally based engineering company. As re-branding was part of this new project and we were able to design a new logo which the company now use for all their marketing. As well as wanting a fresh new look to the existing site, the company wanted to promote all new industries that they have branched into including glass, plastics and aggregates The new design includes extensive images to showcase the clients projects as well as technical graphics, video and an application to show worldwide installations. The redevelopment has been very successful in gaining them new business worldwide. The site also includes a translator facility to cater for the client’s international market.